Randy Moss’ 2007 stint with the New England Patriots solidified the wide receiver as one of the greatest in NFL history. After seven strong seasons with the Minnesota Vikings from 1998-2004, Moss experienced two down years with the Oakland Raiders. The veteran found himself in Foxboro the next year, ahead of one of the greatest seasons ever by an NFL wide receiver, amassing a single-season record 23 touchdown receptions and helping the New England Patriots become the first team to complete a 16-0 regular season. At his Pro Football Hall of Fame induction this past weekend, the star receiver did not hold back on his gratefulness to Bill Belichick, Robert Kraft and the New England Patriots – as the two watched on from the crowd. Check out these excerpts from Moss’ speech in the tweets below! (2/2) "You showed me how much I loved the game. You challenegd me every day to go out here and be great. You challenged me to be great, coach. And I'm sorry we did not bring it home, coach. All those individual awards don't really mean a thing to me. Football is a team sport." 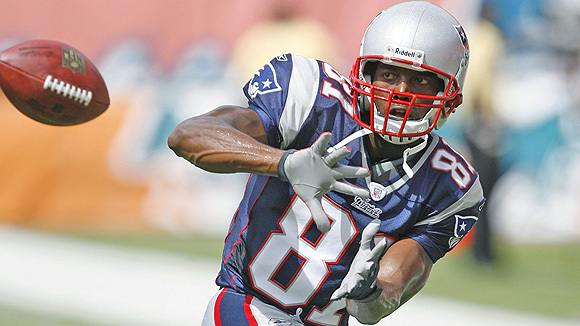 Randy Moss thanked the Kraft family for “ignoring the noise” and welcoming him with open arms. As he mentioned the late Myra Kraft, and how she shook his hand to say how happy she was to have him in New England, the emotion from Robert Kraft during the speech was palpable.